Check out our guest blog post on the CDT website. Hey, do you have a Twitter account? Have you ever noticed those messages in which people tell you where they are? Pretty annoying, eh. Well, they're actually also potentially pretty dangerous. We're about to tell you why. Don't get us wrong, we love the whole location-aware thing. The information is very interesting and can be used to create some pretty awesome applications. However, the way in which people are stimulated to participate in sharing this information, is less awesome. Services like Foursquare allow you to fulfill some primeval urge to colonize the planet. A part of that is letting everyone know you own that specific spot. You get to tell where you are and if you're there first, it's yours. O, and of course there's badges.. The danger is publicly telling people where you are. This is because it leaves one place you're definitely not... home. So here we are; on one end we're leaving lights on when we're going on a holiday, and on the other we're telling everybody on the internet we're not home. It gets even worse if you have "friends" who want to colonize your house. That means they have to enter your address, to tell everyone where they are. 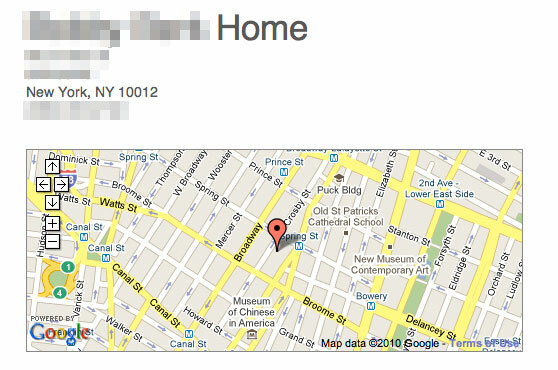 Your address.. on the internet.. Now you know what to do when people reach for their phone as soon as they enter your home. That's right, slap them across the face. The goal of this website is to raise some awareness on this issue and have people think about how they use services like Foursquare, Brightkite, Google Buzz etc. Because all this site is, is a dressed up Twitter search page. Everybody can get this information. Our intention is not, and never has been, to have people burgled. Questions or comments? Feel free to contact us.